A warranty is a valuable component to any capital equipment purchase, especially mission critical and big-ticket purchases such as crushers and screens. It assures equipment users that their funds are being well spent and the equipment they are buying will be covered for a period of time, protecting them against defects in materials and workmanship during the warranty period. As one industry expert put it, “a warranty is like health insurance, we hope we never need it but when we do we are grateful we have it”. While different crushing and screening products from different manufacturers may have different price tags, the length of warranties has largely been the same for years, pegged at 1-year/2 000 hours. The longer and more comprehensive the warranty is, the lower the overall potential cost of ownership for owners. 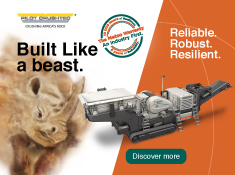 With that in mind, Pilot Crushtec International and Metso are setting new standards with an industry first, standard 5-year/10 000-hour warranty for southern African customers. Francois Marais, Director – Sales & Marketing at Pilot Crushtec International, says the ground-breaking initiative is a true indicator of Metso’s confidence in its product. It is also a sign of service commitment from Pilot Crushtec International as the exclusive distributor of Metso’s aggregates products and services, including static, tracked and wheeled crushers, scalpers and screens in southern Africa. “We have been offering this warranty for the past six months on a pilot basis just to gauge the level of interest and feedback from customers. Effective 1 January this year, we were able to broker a deal with our principal, Metso, to standardise the 5-year/10 000-hour warranty across the whole Metso product range we supply,” says Marais. “The initiative is in the best interests of the consumer. A longer product warranty gives customers some extra coverage for their big-ticket purchases, along with a little more peace of mind. From an original equipment manufacturer (OEM) perspective, it says a lot about the confidence in the brand. 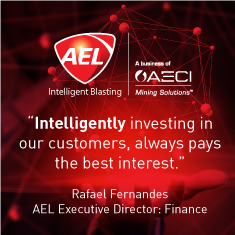 From a supplier point of view, it also means that we want to be there for our customers for the long haul, and be involved in their businesses with a vested interest,” explains Jorge Abelho, Director – Technical and Customer Support at Pilot Crushtec International. Blasting practices at mines and quarries have undergone many changes in the recent past and continue to be refined and reconfigured to meet the demands of today’s mining and quarrying needs as operations seek to gain further improvements in safety, mining efficiencies and productivity, while reducing costs. In today’s aggregate production operations, there is fierce competition based on quality and cost. Primitive and unplanned work, not using technology in a rational way and ignoring research and development ﬁndings can all negatively affect producers in this competitive environment. One parameter that has a significant effect on unit costs in aggregate mines is the cost of drilling-blasting. Blasting is one of the most important operations, and has substantial technical and economic effect on the mining projects. In such projects, the prime aim of blasting operations is rock fragmentation that is necessary for subsequent processes – such as such as load and haul, crushing and screening – to achieve a higher efﬁciency. Good blast design and execution are essential for successful mining operations. Improper or poor practices in blasting can have a severely ill impact on the economics of a mine/quarry. 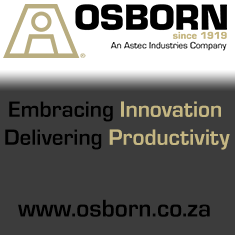 How significant is the blasting process to the overall mining efficiency and productivity of the quarry? Research company, ResearchGate finds that conditions of the drilling and blasting process directly affect the loading and hauling processes, which are considered among the major steps of mining. Selecting the wrong blasting pattern may cause inadequate loose volume at the end of the explosion and/or unwanted material sizes in the size distribution of the loose material. The pieces that do not comply with the feed opening of the crushing-screening facility have to undergo a second crushing process. The secondary crushing is undesirable because it causes both loss of time and cost increase. Thus, increased secondary crushing adversely affects production costs. The same view is shared by Tony Rorke, Specialist AXXIS Application at BME, who says that the blasting process is critical to overall mining efficiency. “A poor blast result usually means sub-optimal fragmentation and tight muckpiles. This slows the entire downstream processes, from loading through to crushing,” he says. Rorke adds that the costs related to loading and crushing are a few orders higher than the cost of explosives, and poor blast results, therefore, have a major impact on cost and being able to extract value at the planned rate. “An additional cost is to the environment – where the extra energy expended in loading and processing, the coarser than planned rock produces about four times the greenhouse gasses,” says Rorke.